Prof. Dr. O.M. (Onno Martien) van Nijf. Prof K. Hopkins (King’s College, Cambridge). Title of thesis: Textiles and the Roman Economy. Aspects of Production and Commerce in a Comparative Perspective. Prof. P.D.A. Garnsey (Jesus College, Cambridge). Prof. Dr. P.J. Sijpesteijn (UvA). Title of dissertation: The civic world of professional associations in the Greek cities of the Roman Empire. 2016-2017: Head of Department of Classics, University of Groningen. 2012-2015: Director of Studies of Research masterprogramme Classical, Medieval and Renaissance Studies. 2012: Ecole Pratique des Hautes Etudes, Paris. Directeur des Etudes Invité (Visiting professor). 2003- to date: -Chair of Ancient History, University of Groningen 1fte. 2007- 2011:-Head of the Department of History, University of Groningen (70+ staff). 2002: Visiting Professor of Ancient History, Université de Paris VII, Dénis Diderot. 2000-2003: - NWO-Van der Leeuw Professor of Ancient History, University of Groningen 1fte. 1998-2000: -Royal Dutch Academy (KNAW) Research Fellow, University of Amsterdam. Fixed term 1fte. 1997-1998: -Leverhulme Research Fellow, Faculty of Classics, University of Cambridge; Fixed term 1fte. -Invited lecturer (Greek epigraphy), Faculty of Classics, University of Cambridge (PT). -Replacement lecturer (Greek History), Dept of Archaeology and Ancient History, University of Leicester (PT). 1996-1997: -Teaching fellow in Ancient History, Dept of Classics, University of Bristol. Fixed term 1fte. 1991-1995:-PhD researcher (AIO) in Ancient History, University of Amsterdam. 1991:-Temporary lecturer in Ancient History, University of Amsterdam. Fixed term (PT). 1988-1990:-Postgraduate study at Churchill College, Cambridge (intermitted in 1989 to do military service). My research is carried out as part of the Ancient History Profile Political culture, religion and identities from the Hellenistic period to Late Antiquity, which is located locally within the Research Center for Historical Studies and the interfaculty research group CRASIS, and nationally within the OIKOS Research Group Impact of Empire. 2017: Netherlands Institute of Classical Studies. Annual Lecture. Key note addresses, special lectures etc. 2012: Institut des Hautes Etudes, Bruxelles. 2011: Fondation Hardt, Vandoeuvres (CH). Entretiens sur l’antiquité classique 2011 (invitation accepted). 2008: Institute of Classical Studies, London. 2007: Institut des Hautes Etudes, Bruxelles. In addition I have been invited over the last few years to give guest lectures or seminars in Athens, Brussels, Ghent, Hamburg, Heidelberg, Istanbul, Liverpool, London, Paris, and Vienna. I have presented research papers in international conferences in Rome, Athens, Edinburgh, Exeter, Hamburg, Lisbon, Heidelberg, St Andrews, Mannheim and Paris. 2003-2008: Co-director of the international research network The Greek City after the Classical Age (with Prof. R. Alston, Royal Holloway, University of London). 2012: University of Leuven. Examiner of the PhD. of S. Remijsen. 2009: FWO, Belgium. External advisor. 2008: Université Libre de Bruxelles. External Member of appointment committee for the chair of Roman History. 2007: Austrian Academy of Sciences, Vienna. External Advisor. 2003: Université Paris IV-Sorbonne. Member of the jury of the PhD of N. Tran. 2003: National Research Council, Canada. External advisor. I have been actively promoting international academic collaboration and mobility. I have initiated and taken part in various Erasmus exchange programmes (i.a with Royal Holloway, University of London, University of Athens, University of Münster, University of Bremen). Membership of academic boards and committees. 2012- to date: Member of the Board of Correspondents of Mouseion, the journal of the Classical Association of Canada. 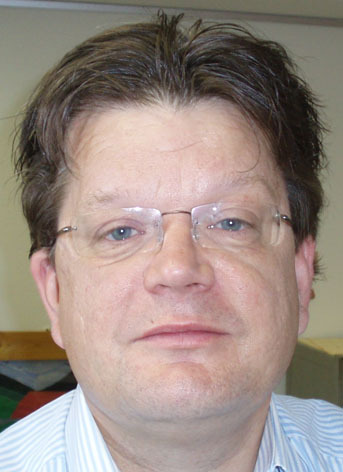 2009–to date: Member of the editorial board of Pharos, the Journal of the Netherlands Institute at Athens. 2009: Member of the NWO VENI commission. 2007-2015: Member of the Academic Board of the Netherlands Institute at Athens. 2006-2016: Member of the Board of the Ernst Kossmann Institute for the history of politics at the University of Groningen. 2005-to date: Member of the Academic Board of the International Network Impact of Empire. 2005-2009: Coordinator Impact of Empire Research Group within National Research School OIKOS. 2002-2011: Member of editorial board of Mnemosyne, A Journal of Classical Studies (A-status). 2001-2008: Member of the Education Committee of the National Research School OIKOS. 1996-to dateFounding member of the British Epigraphy Society. Organisation of international conferences and workshops . 2006: Cults, creeds and contests in the post-classical Greek city (London, Institute of Classical Studies, London School of Advanced Studies). 2006: Local élites and territorial power structures in Antiquity and the Middle Ages’(at University of Groningen, with the medieval historian Prof. D.E.H. de Boer, University of Groningen). 2004:Communities within the post classical polis (at Royal Holloway-University of London). 2004: Feeding the Ancient Greek city (at Athens, organised as a panel in Seventh International Conference on Urban History: the European City in Comparative Perspective). 2003: Political culture in the post-classical Greek city (at University of Groningen). A selection of the papers is being published in three volumes in our series ‘Groningen-Royal Holloway Studies in the Greek City after the Classical Age’ (Peeters, Louvain). I have organised two international workshops around the projects of my local research group; a third workshop is now being organised. 2011 Sacred landscapes – connecting routes. Fransum colloquium 9 April 2011 . ( Fransum-Groningen) with my PhD student C.G. Williamson. The proceedings will be published in the series Caeculus (Peeters, Louvain). 2008: Culture, religion and identity in the Greek city (Netherlands Institute in Turkey – Istanbul) in collaboration with Dr. F. Gerritsen (NIT), and Prof. Dr. M. Sayar, University of Istanbul. 2007: Public space in the Post-classical city (Fransum-Groningen) with my PhD student C.P. Dickenson. The proceedings will be published in the series Caeculus (Peeters, Louvain). 2002: Panel: Festivals and the city (at the European Social Sciences History Conference at The Hague) in collaboration with Prof. Dr. D.E.H. de Boer, University of Groningen. 2012:CRASIS workshop and PhD-Masterclass on the Cultures of Networks. With Dr. Mladen Popovic. 2012:Workshop: Civic Mirrors and Citizen education from Antiquity to the end of the Ancien Régime, with Dr. S. Corbellini and Dr. B.S. Hellemans. 2001-2003Epigraphical research on Nemrud Da ğ (Turkey) in the context of the Nemrud Project of The International Nemrud Foundation and the University of Amsterdam. 2009 and 2010 NWO vernieuwingsimpuls (VICI). My proposal for a majorresearchproject under the title: Local politics in a global empire: the Greek city from the reign of Augustus to the end of the Principate (1st. c. BCE – 3rd c. CE) was twice rated ‘eligible for funding’, but it was not selected due to financial constraints. 2002-2007 Leverhulme Foundation, London. The Greek City after the Classical Agewith Prof. Dr. R. Alston, Royal Holloway, University of London (running 2003-2007). For this project we also obtained a NWO/ British CouncilStarting Grant, additional grants by ICOG/Faculty of Arts, University of Groningen; Royal-Holloway, University of London. (K.£.12 + K.€.10 from additional sources). 1998-2000 Royal Dutch Academy (KNAW) postdoctoral fellowship. Greek athletics, festivals and the transformation of the post-classical polis held at the University of Amsterdam. This project was terminated early as a consequence of my appointment to a chair in Groningen. (K.ƒ.300). 1997-1998 Leverhulme Foundation, London /Faculty of Classics, University of Cambridge Greek inscriptions in the Museum of Classical Archaeology, Cambridge. Post-doctoral Research-Fellowship in the Faculty of Classics. The project, that I initiated and designed together with Prof. M. Beard, involved the cataloguing and study of the collection of epigraphic squeezes in the museum. This project was terminated early to take up KNAW fellowship. (Exact amount not recoverable, but intended to cover 2 full years of post-doctoral research).